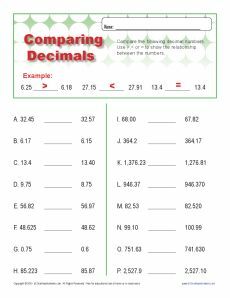 Comparing decimals is a snap if your student understands place value. Here's a worksheet to help her do just that! Use it in conjunction with 5th grade Common Core Standards for Number & Operations in Base Ten, or with any student that needs the practice.